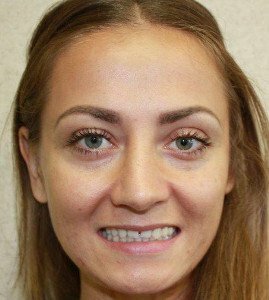 Check out some of the amazing results of our cosmetic dentistry work and read reviews from our happy patients below! I would like to thank everyone at BVL Family Dental. Their professionalism and their attention to detail are always beyond expectation. They always ensure my teeth and my families teeth always have a great smile. Hi my name is Marisol Rivera I am 45 years old and when I was 26 I was diagnosed with type two diabetes while pregnant. At that time I did not know much on diabetes or the consequences. 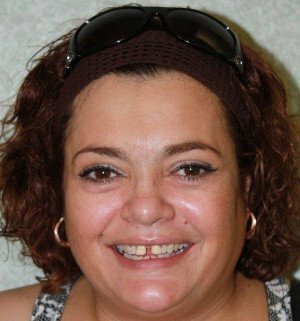 My teeth went bad as a result of my diabetes, not going to the dentist and poor eating habit. I would hide my smile because I felt they were noticeable to my friends, family and coworker's it made me feel awful. 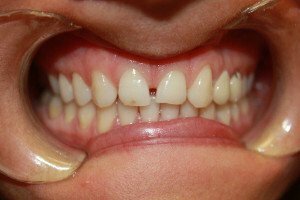 I would feel insecure when I would go out to dinner I would not smile or laugh because I would wonder if anyone was looking at my unhealthy teeth. 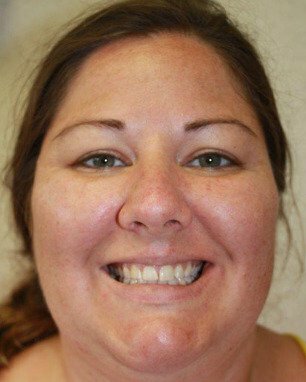 But now I am so happy to have had the opportunity to regain my smile back at BVL Family Dental Center. I had so many concerns & doubts, would I be able to eat? Will it hurt? 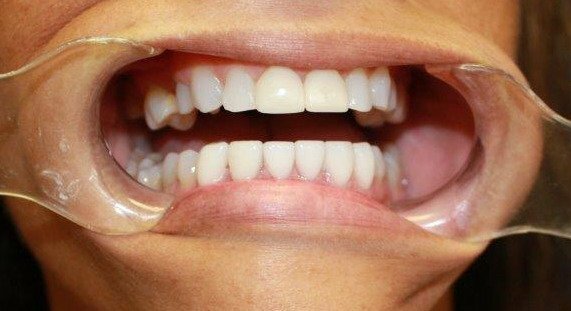 Would my new teeth look real? Dr. Shamim Khan and her comforting staff made me feel at ease and gave me my smile back. They helped me get through this hurdle in my life in a very professional and pain freeway. 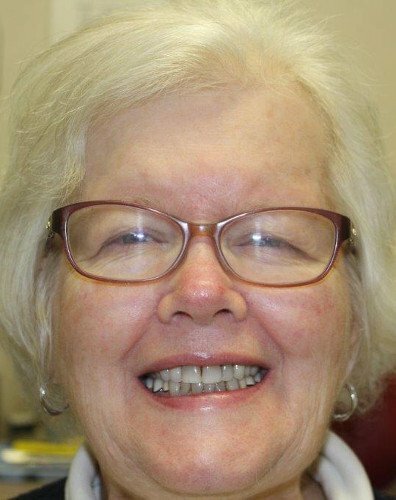 She was also able to have my dentures especially made for me they fit perfectly! She did an outstanding job and I would recommend her to any one of my friends and family. I would like to take this opportunity to thank Dr. Shamim Khan as well as her staff for their hard work and dedication. I've decided to Make BVL Family Dental Center my dentist for all of my dental needs and for many more years to come. Dr. Khan and her staff were amazing! I love my new veneers! Dr. Khan and her staff were amazing! 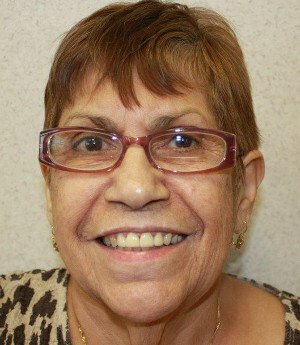 I'm 64 years old and I have my smile back that I had at 24! Much thanks to Dr Shamin and her assistants. I am quite satisfied/happy with my new teeth and crowns. 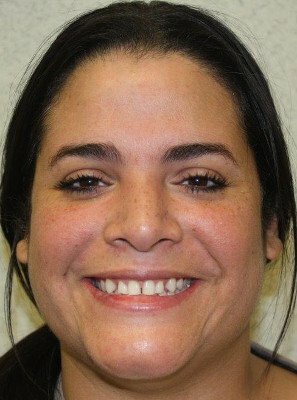 Throughout my 15+years with Dr Shamin she has always done an excellent job with all my dental work. I really enjoy all the compliments I've received over the years on how good my smile/teeth look! She and her assistants are very careful and compassionate during their work, always ensuring that I am as comfortable as possible. It is a joy to arrive at her office since I am always greeted with much affection by her "daughters", as I call her assistants. Thanks to their devoted attention to me, I usually never have to wait long after my arrival! Much appreciate the dedication they have shown in their work! Some friends of mine where I work referred me to BVL Family Dental for some dental work and I thank them for it. I'm very happy for the service Dr. Khan and her employees have given me. Dr. Khan is a nice person and will recommend her to my friends and relatives alike. Overall, thank you Dr. Khan and staff. I'm pleased with the work they have done. Both their professionalism & expertise are without equal. You all have completely salvaged my time here in Florida. 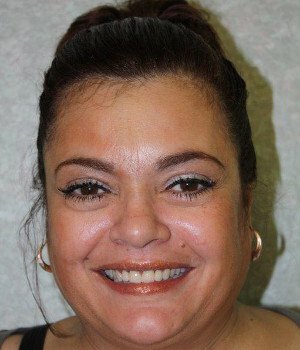 Not only was the customer service fast & effective, they were able to get my dental work done extremely quickly & worked with me every step of the way. Both their professionalism & expertise are without equal. Thanks so much! 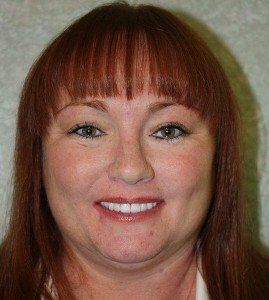 I would highly recommend BVL Family Dental to anyone. I am thrilled with the quality of care and excellent results I received from the doctor and her staff! I would highly recommend BVL Family Dental to anyone. Thank you Dr. Shamim Khan for the work that was done in my mouth it was a beautiful job. I thank you Dr. Shamim Khan for bringing a new smile back in to my life. I want to take this moment to thank you and your entire staff for bringing a new smile back into my life; it's being a great impact on me; on a personal and social level. I was having severe back and neck pain. Dr. Khan recommended treatment with the orthotic device to relax my muscles. She started treatment and all my symptoms back pain, neck pain are gone. I was having neuromuscular problems like pain in my neck, hips and back. Dr. Shamim Khan recommended treatment with the orthotic device and when she started treatment on me within one month the pain almost immediately subsided and after two months the pain was completely gone. I am thankful that Dr. Khan convinced me to do the treatment with the orthdontic appliance. My life has improved dramatically and I am thankful to Dr. Shamim Khan. I have been coming to see Dr. Khan for my dental needs for the past 14 years, and all of my dental needs have always been excellent. The staff is always very friendly and helpful. They are always going to the extra mile to see that all my dental care needs are met. Dr. Khan is my favorite dentist, and I always enjoy seeing her and the staff. My family and I have made part of the Bvl family dental for over 12 years. Dr. Khan has given us a one to one personal approach making us feel like part of hte family. They are always willing to work with the schedules for everyone in the family. We are very happy with the treatment and professionalism we have received. We have recommended BVL dental to all of our friends and family. 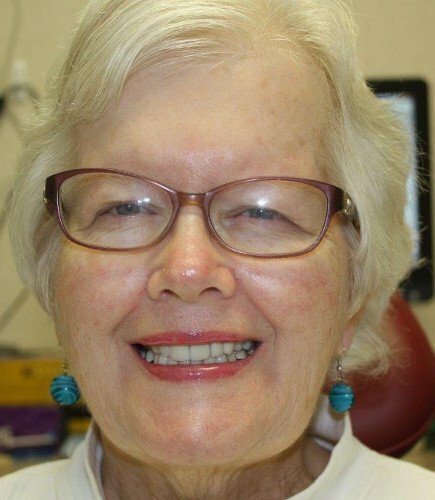 I discovered the BVL Dental Center while researching Lumineers on-line. I made an appointment with Dr. Khan. After examining my teeth, she recommended veneers as the better option for me. I have had my "new teeth" for about 2 months and am pleased with the results." I had a mouth full of bad teeth. When I walked into Dr. Khan's office, I knew she was the dentist for me. My experience was awesome. She made me feel at ease and very comfortable. 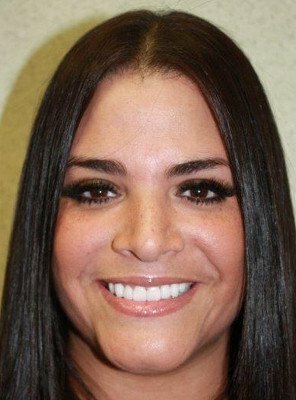 I will recommend her to anyone that needs dental work done and by the way I LOVE LOVE LOVE my smile! My life changed the day I was in my living room watching TV when I saw the commercial about veneers. I did not hesitate to call and make an appointment with BVL Family Dental Center. They saw me the next day, my teeth were terrible. I never smiled in my pictures. They were really ugly. 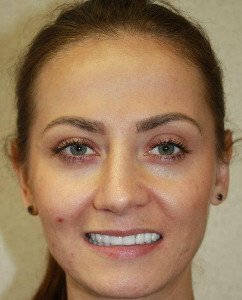 When I came into Dr. Shamin's office, they took a before picture and they gave me an after photo and as soon as I saw it I did not hesitate to start the treatment. Dr. Shamim is the sweetest person. She makes you feel like you are in heaven and her staff is very kind. I am amazed at the results. She would make you smile forever. I am very grateful and happy. Thank you Dr. Shamin for changing my smile. I feel 10 years younger. I now have a beautiful smile! I have always had a huge fear of the dentist office, and my teeth suffered. BVL Family Dental Center has been extremely patient, comforting, and have gone out of their way to help me. Thanks to their excellent work, I now have a beautiful smile! I am absolutely thrilled with the result and sincerely Dr. Khan as well as her staff for their kindness and professionalism. She is an artist, a teeth Picasso! There are no words to describe how blessed and grateful I feel for Dr. Khan doing my dental work. She is an artist, a teeth Picasso! Diligent, a perfectionist, and that’s the kind of dentist everyone dreams to find when a complex dental work is needed. She was very patient and decided with me, never rushed throughout the process and explained everything she was doing step by step in a detailed professional way. 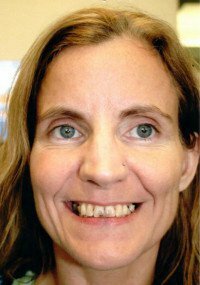 With porcelain veneers, she has transformed not just my smile but my life. Not even in my wildest dreams I thought I would be able to have the perfect smile she has given me. Perfection is the words. It’s a dream come true for me! I have 100% trust in Dr. Khan and her staff’s capabilities and integrity. I recommend her without the blink of an eye if you need to have anything done in your mouth. Today, I want to say thank you for making me feel part of the family. You all have my heartfelt gratitude and always will be in my heart and prayers. 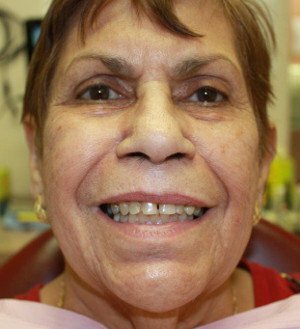 I initially came into BVL Family Dental for my sister Pan who needed dentures. After we meet with Dr. Khan, she made us feel we were part of her family!! While we were at the office, I asked questions about getting Lumineers and was interested in the process. Dr. Khan and her staff were very knowledge and answered all of my questions. I decided to go ahead and get the Lumineers. It was the greatest decision I've ever made! Dr. Khan has given me the confidence to be more outgoing and not afraid to smile. I love my awesome smile and grateful to have met Dr. Khan. I receive so many compliments on my smile now!! Thank you Dr. Khan and your outstanding staff! !